DO. I. NEED. TO. SAY. MORE? I know you all think I’m obsessed with all things alcoholic. I swear I’m not. Really! PS: On a related totally unrelated note, did you read my NEW “About Me” page? Let me know what you think! I am obsessed with popcorn though. That much is very, very, very true. I’m quite fond of coffee as well. This caramel corn is pretty much a win-win. Trust me. 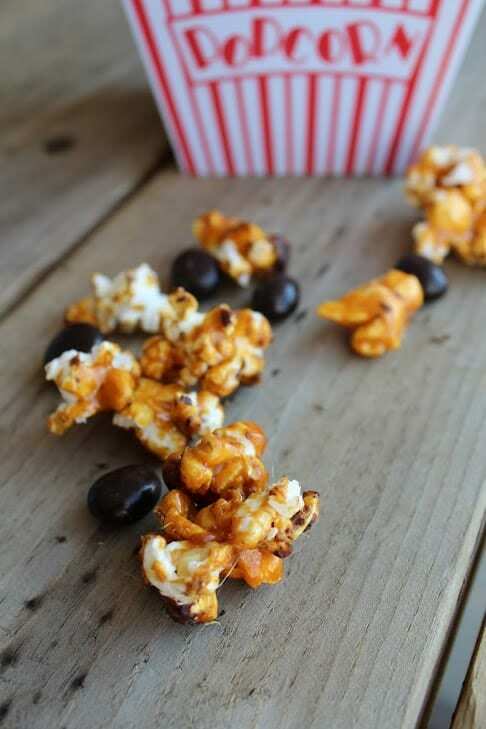 I poured the hot caramel right over the chocolate covered espresso beans and popcorn so that the chocolate melted and turned into pure deliciousness. If you would like perhaps a “prettier” caramel corn, stir them in after it has cooled. Then drizzle with more melted chocolate. I mean…it’s probably the best thing to do in that situation, right? 1. Pop the popcorn using an air popper (or on the stove with oil if you don’t have an air popper). 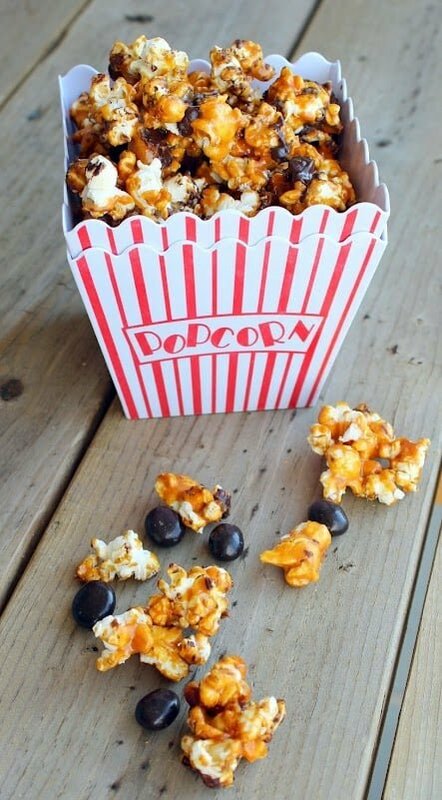 Place popped popcorn in a large bowl or foil roasting pan (this works great if you have one available). 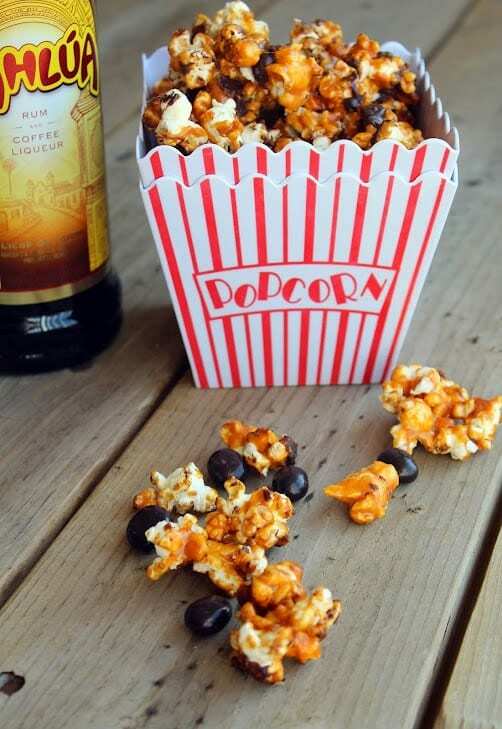 Sprinkle chocolate covered espresso beans over the popcorn. 2. Cover one to two sheet pans with aluminum foil. 3. In a large saucepan, combine sugar, Kahlua, butter, vanilla, and salt. Heat over medium heat, stirring very often (I stirred nearly continuously). Continue to cook until sugar melts and caramel becomes a pretty brown (caramel) color. I think mine took about 15-20 minutes. 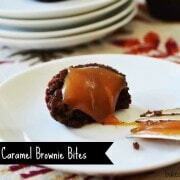 Once it melts and turns a dark caramel color, trust your gut and act fast because it scorches quickly. 4. Add the baking soda (I measured it first and put it in a little bowl so I could add it all at once) and keep stirring. Be careful as it bubbles up quickly and almost doubles in quantity. Quickly remove from heat, pour over the popcorn and espresso beans and stir quickly to coat all the corn. 5. Spread the caramel corn out on foil lined sheet pans and allow to cool at least ten minutes before eating. Add more chocolate covered espresso beans if desired. Husband’s take: Loved it! Took it with him to work. Difficulty: Moderate. Caramel can be tricky, but just keep an eye on it and trust your gut. 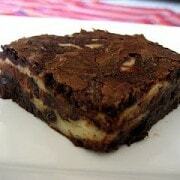 Pingback: Popcorn Bars - Chocolate Chocolate and More! wow, this looks sooooo tasty! Yum! This is such a good idea!! I’ve been obsessed with caramel corn and the like since I found white chocolate drizzled cinnamon kettle corn at Whole Foods. The brand is Popcorn Indiana, it’s to die for!!! 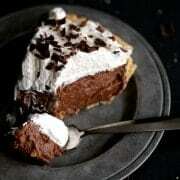 I used to love Kahlua so this recipe looks awesome! That kettle corn sounds AMAZING. Popcorn is one of my favorite foods in the whole world–I’ll have to check that out. Oh my gosh, did you guys hear about this story? Oh, that has everything I love to eat in one bite. My obsession with popcorn knows no bounds. Unless its microwave or movie theater popcorn…then there might be some issues. 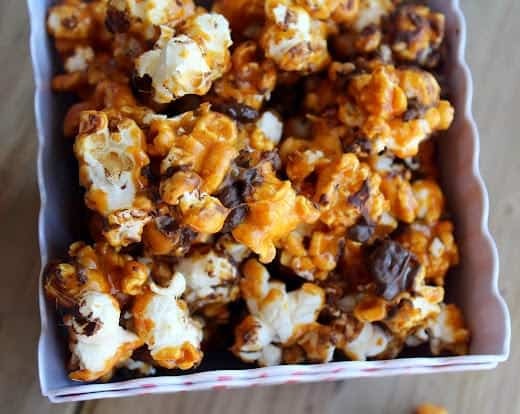 Bourbon Bacon Caramel Corn? SOUNDS AMAZING! Looks like the ideal snack to me! Love how delicious it looks! Salty, sweet, boozy – what doesn’t this popcorn have?? It looks awesome! My God, I think I could live on this. I don’t have an air popper but I’m sure I’d eat healthier if I did. Shopping list! I’ll be over to help taste test in a little bit. ;) My dad swears by air poppers too. What kind do you have? I was thinking about getting him a new one for his bday next month. His is from the 80’s. Wow, I think you just made caramel corn on crack. Can’t wait to give this a try! Love the new about me page! I rarely drink but love cooking with alcohol. Great flavors! Rachel, this is tastiest looking take on popcorn I’ve ever seen! It looks SO flavorful and delicious. Thanks for sharing. Also, I’m having a great giveaway today with four potential prize winners, so you should enter! This looks JUST perfect!!! I love it! Yum yum yum!! What a creative take on popcorn, I just love it. Wow this looks fantastic! I love kahlua, popcorn, espresso…there is nothing about this that I don’t love, actually! Interesting that you say the sauce/marinade took 15-20 minutes. I have made similar recipes and usually I am looking at 5-10, max. Otherwise it would have been a burnt mess. That’s good to know in case I make this that it takes quite a while. It looks amazing! Mine was probably about 2 seconds away from being burnt, so just keep an eye on it, and like I said, trust your gut! Might not take that long on different stoves, etc. I have electric burners (boo!). Oh my gosh, I’m in love!! I’m eating this for dinner!! Gracious! What a wonderful treat for popcorn! Love it!!! This is so filled with yumminess! Love it! no, you don’t need to say more because the second i read the title of this post, i KNEW it was gonna be good. loveee it! Celery – I feel like an “iron chef” when I chop it … fun:) And I’m eating kettle corn right now (for breakfast!). The site looks great! Oh wow, this looks like the most amazing popcorn ever! Crunchy caramely booze! PS I love chopping celery too.